Why is Practical Life such an important element in Montessori education? 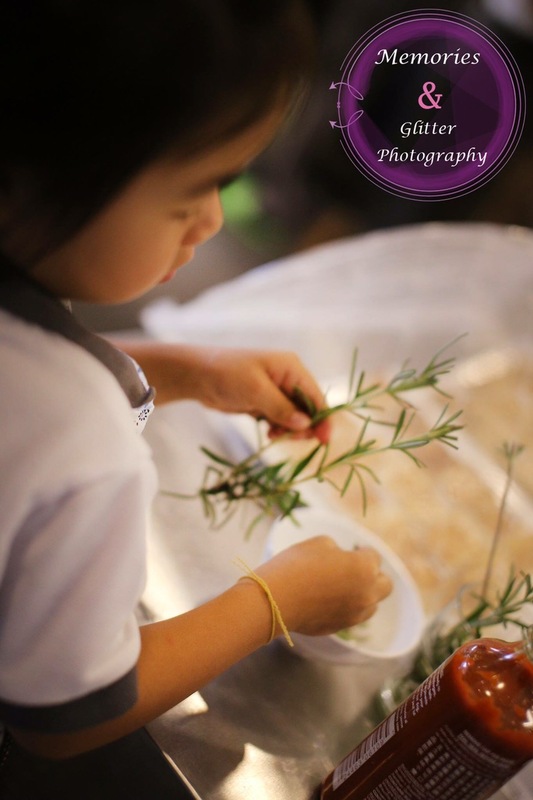 What do children learn from cooking? Why is Practical Life such an important element in Montessori education? Why do rice turns soft when it’s cooked? Why muffins rise? Come and think about it – cooking is a life science lesson, and you don’t actually have to teach them, the activity does it for you. Bringing food from kitchen to table gives children an opportunity to feel grown-up, an indirect way to build and develop their logical thinking, sense of order, patience, coordination, motor skills. To bake muffins, children first need to understand the recipe. To do that, they read, spell and connect words like “egg” on the recipe to looking for a real “egg”. The concepts of measurement and volume is made simple when they hold physical measuring tools like water jug, cup, spoon and scales. And show them how different amount of substances (flour, sugar, butter, water) will look different, but still weigh the same. Achieving small successes is a great way to boost a child’s self esteem. Cooking is a fun and educational activity to improve children’s confidence as the results are quick – it helps them to learn how to achieve a goal with many sequential small tasks.